Published in QST magazine (August 2006). 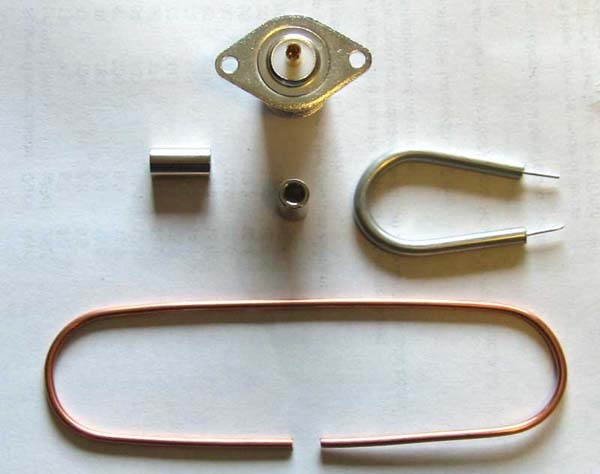 This method of construction can be used on most UHF through "low" microwave Yagis, and is especially useful for the 33, 23 and 13 cm bands; These antennas were made with this process, and tested on this back-yard antenna range. 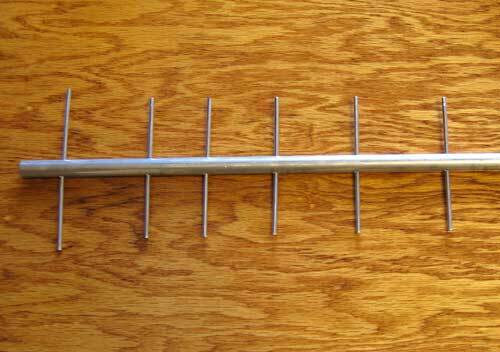 I like to use the basic DL6WU wideband Yagi designs whenever possible. 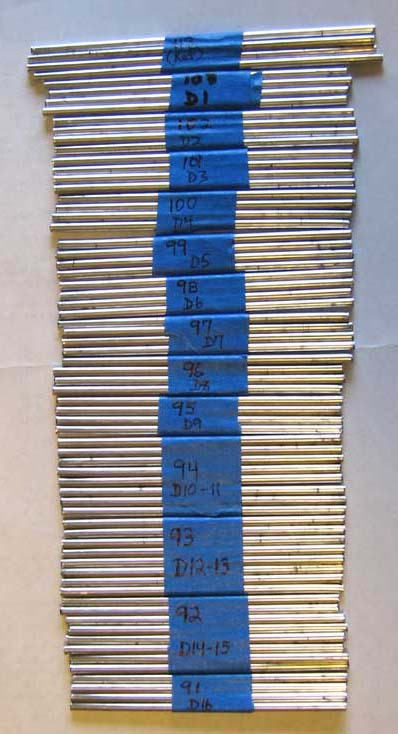 A good design tool for this is the Yagi calculator written by VK5DJ. 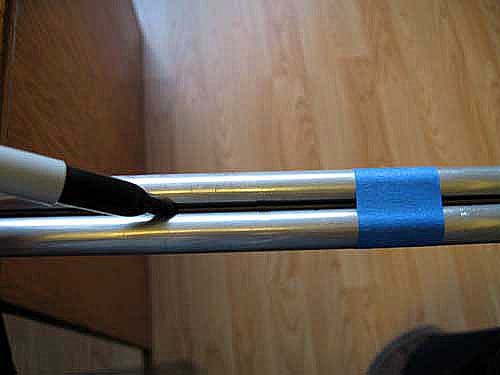 Here's how to make one using basic hand tools and readily available materials. All that is left to do now is mount the driven element to the boom. For this I used 1/2" aluminum spacers and 6-32 machine screws. 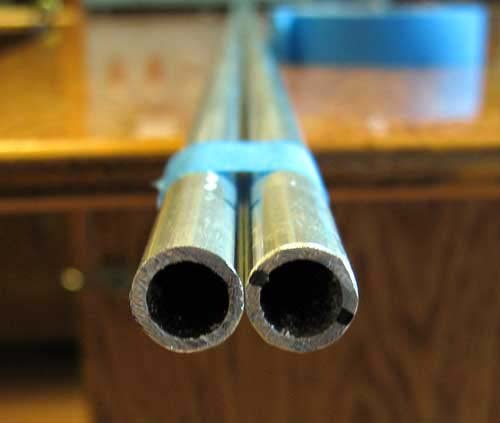 Make certain you have the dipole placed at the correct distances from the reflector and first director before drilling the mounting holes in the boom. The picture below shows the completed 4' antenna, held by my trusty XYL (she's still shaking her head). 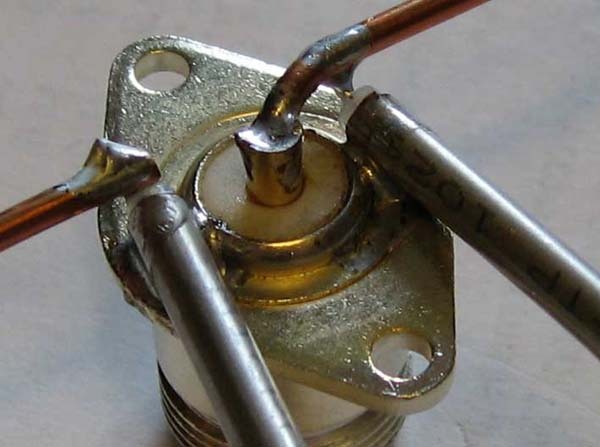 You may not need to tweak at all, but if you do, SWR is affected by the shape of the dipole (height). 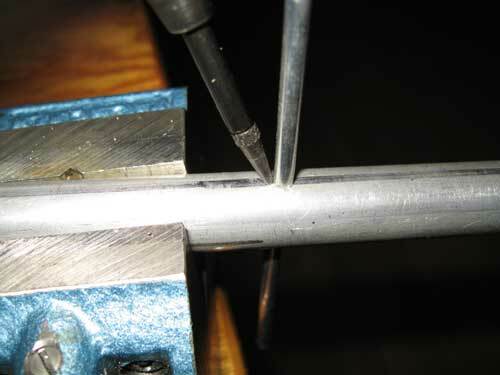 You can also bend the ends toward or away from the reflector as an additional adjustment. 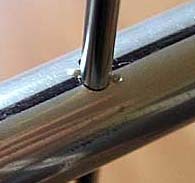 You should be able to get the antenna down below 1.2/1 at mid-band, and below 1.5/1 at the band edges. 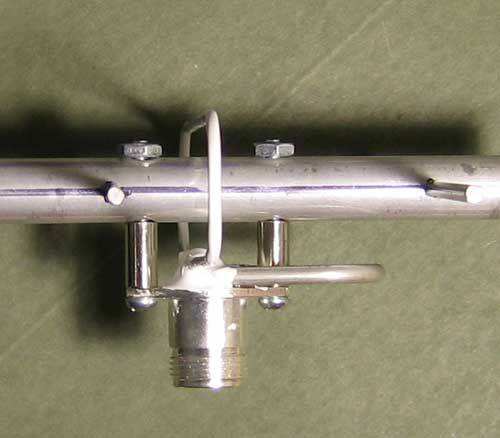 If you plan on stacking Yagis, and need to flip one of the antennas over, you can put that antenna back in phase without having to make a 'mirror' dipole. 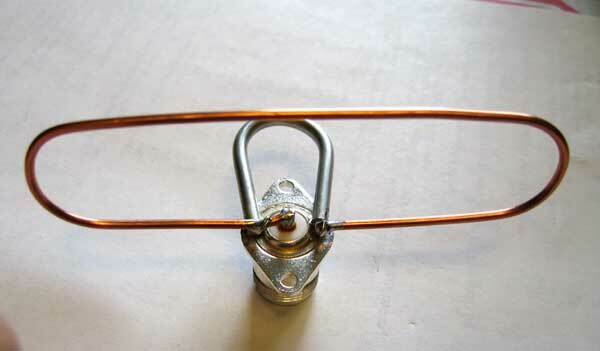 Notice that I have the DE mounted so that the balun loop is toward the reflector? 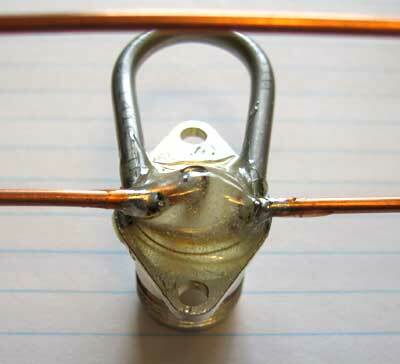 Just mount the DE so the balun loop points the other way. 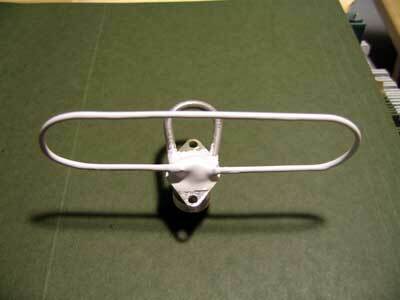 This will put it back in phase with the antenna on the top. You can see this done here.